November 4 | 1:00 - 4:00 pm 14580 River Road, Carmel, IN 46033 Come see what surprises you can find at our holiday tasting! 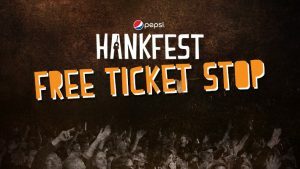 There will be right to purchase contests, gift baskets, and tastings! 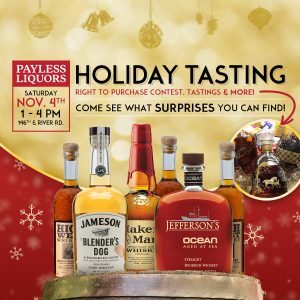 We will be sampling Jefferson's Ocean, Maker's Mark Private Selection, Jameson The Blender's Dog, High West Whiskey and more! November 4 | 2:00 - 3:00 pm 9520 Uptown Drive, Suite G, Indianapolis, IN 46256 Join us for samplings and giveaways! 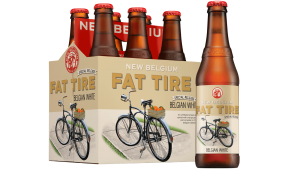 Come tastes New Belgium Belgian White. 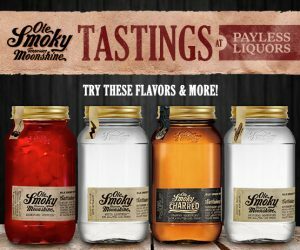 November 4 | 4:00 - 6:00 pm 9310 North Michigan Road, Indianapolis, IN 46268 Come to taste Old Smoky Moonshine Whiskey with us! November 4 | 5:00 - 7:00 pm 9609 North College Avenue, Indianapolis, IN 46280 Come taste Guinness Blonde, Guinness 200th Anniversary (Seasonal SKU), and Smirnoff Sparkling Seltzer.